This cat photo exhibition is dedicated to our furry feline friends who never fail to sniff out a warm out-of-reach spot to curl up in any corner at any place of the world... We hope to celebrate their grace, mischief, craftiness, aloofness and sloth with the photos pooled together from all cat-loving photographers; amateurs to professionals. 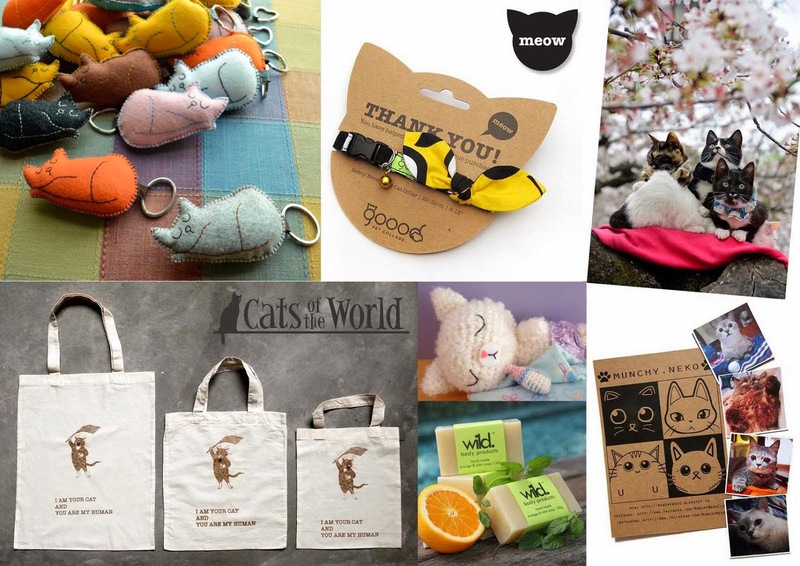 In July 2014, Cat Welfare Society in Singapore celebrates an important milestone in its 15 years of operation. Granted the status of an Institute of Public Character (IPC) by the Ministry of Culture, Community and Youth in May 2013, the Cat Welfare Society has also appointed its first Chief Executive Officer, Joanne Ng, to head its operations. We spoke to her as well as the newly-appointed President, Thenuga Vijakumar on the local scene and how the community can help. Cat Welfare Society has come a long way. How has the cat welfare scene changed? Joanne: Thanks to social media and the ease of taking photos anytime anywhere, I think there are less abuse cases happening in Singapore. The voices of cat lovers are getting louder and with well established AWGs working together, we have earned the respect from the government and now have formed a good partnership with them. The relaunched Stray Cat Sterilisation Programme (SCSP) is a great example. 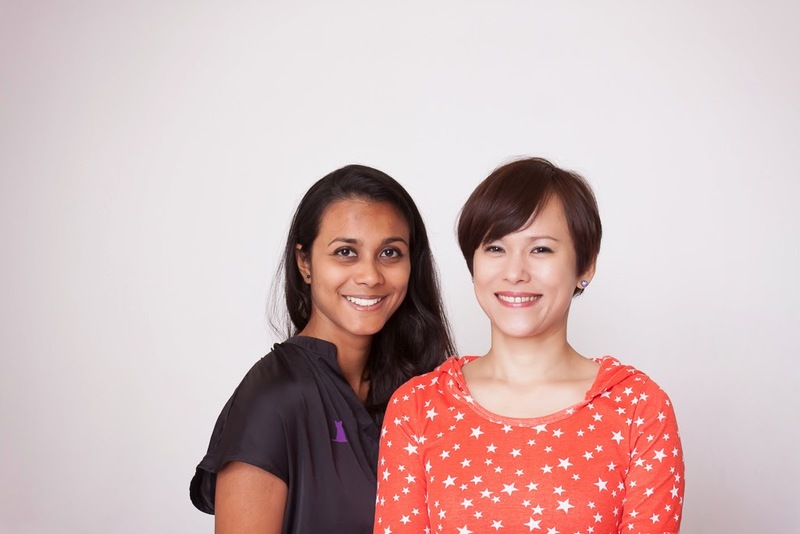 Thenuga: More people are aware of how omnipresent cats are in Singapore and are taking an interest, so we have a slowly growing grassroot base that is trying to help the cats they find, and more taking on caregiving and sterilisation. What's top on your agenda this year? J: I plan to establish new partnerships with the corporations and foundations to better fund the SCSP programme and mediation work that is taking place island-wide. We also hope to increase the adoption rates of rescued cats by leveraging on social media and technology. T: Education - the more educated people are about cat welfare, the faster more cats will get assistance. This translates into more sterilisations and more responsible cat owners. How did each of you start out with Cat Welfare Society? J: I started engaging with CWS in 2008 on an ad-hoc basis initially by raising funds for Special Appeal cases and making donations to CWS. Subsequently I became more actively involved as a volunteer and spearheaded their recent crowd funding campaigns. T: I started on a hoarder case, very unglamorous but I was very taken by the difference made in their lives, in the cats' lives, and how simply such situations could have been averted with neutering. I was in the university and had time so I could do something about it.. and here we are now. Describe a day in the life of a CWS committee member... what goes on behind the scenes? J: My family and friends find it hard to get my full attention all the time as my time is spent on planning events, arranging the logistics, getting the volunteers and using social media to market the event. From the preparation to the execution of the event, we have to solve all types of unexpected issues and make it as smoothly run as possible with whatever resources we have. T: A day in the life, haha. I've had colleagues say I've got two lives - my regular job and then cat-person by night. But the reality is that I have had to learn to do both at once. I check my emails when I get time - over lunch and evenings that aren't spent at work - checking on cases, doing house visits, trying to rehome kittens and catching up with cat admin. Events start via email invitations usually, then we agree when there's no clash in the calendar, and we ask for volunteers. Whenever we have adoption drives, we ask the fosterers to come. What drives you in the running of this organisation? J: I have witnessed the selflessness of the caregivers and feeders, they would do almost anything to keep the community cats safe and fed. And animal welfare groups are getting very little help from the government and corporate donors, and I strongly believe that can be improved. T: The cats. The fact that a massive difference has been made in their lives with sterilisation and educating people on responsible pet ownership. The fact that it will continue to make a difference as long as we can set aside time, collect resources to support the feeders, caregivers and the mediators. How can the public help? J: The public can meet CWS half way; we have created a platform to provide them with the ability to carry out rescue work and to sterilize cats. But that can only happen when people are willing to give up a small part of their fabulous life and have the desire to give back to the community. T: The baseline must be that they must be aware of at least unneutered cats and cats that need medical attention. From that point, it's simple - arrange to have the cats trapped and neutered or take the cat to the vet or learn to treat it. 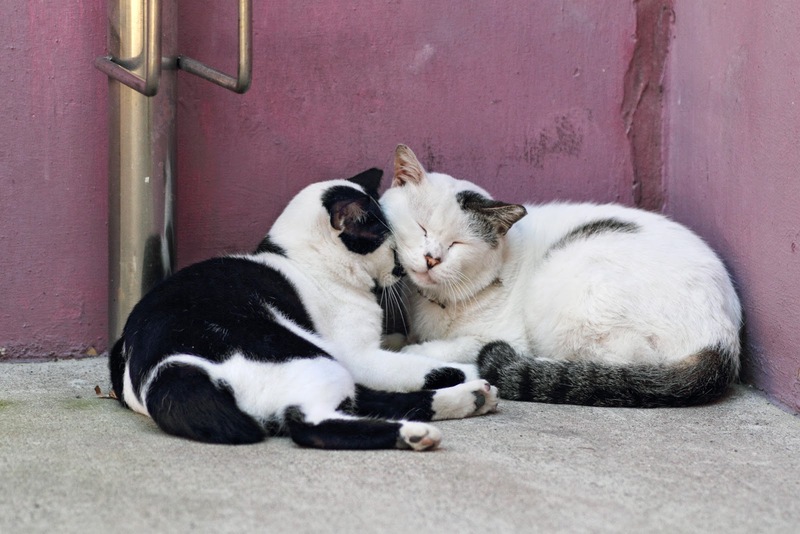 Vet bills can be steep but that is precisely why caregivers need help to defray the costs and the more people who share and tap into their networks, the more cats can be helped. On the adoption front, every person who has cats must be responsible and help others become responsible. Each responsible cat owner who teaches a new cat owner to be the same means a cat gets a permanent loving home, which is ultimately what we want for every cat that crosses our path. What is on your wish list for the future of cats in Singapore? J: I hope more people will see the benefit of having a cat as companion, along with the HDB ban on cats being lifted. This will lead to an increase in adoption rate and relieve the burden of the feeders and caregivers. l hope all cats will be required to be microchipped, so lost cats can be returned to their owners and irresponsible cat owners can be identified too. T: I wish community cats can have a high caregiver ratio so there are enough resources for them, and so that caregivers can rest and have a more normal life. I also wish that all pet cats are kept safely indoors, neutered and given proper vet care. It sounds so basic but I really just want that to be the norm instead of having newly abandoned, unsterilized or sick cats turning up every few days, instead of caregivers working themselves to death, instead of attending to case after case of roaming house cats. If you were a cat, what kind would you be and why? J: I would probably be a fat ginger community cat that everyone loves to feed. T: Hmmm, I'd probably be a moggy with a few scars but not too worse for wear! 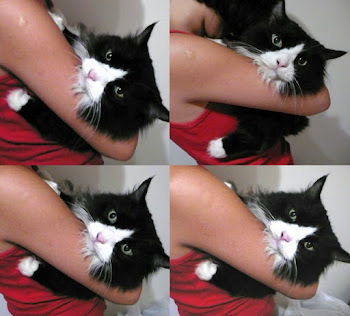 - In 2009, the Cat Welfare Society, a registered charity, recorded an annual income of $53,000. In 2013, its annual income was $584,000 as an IPC organisation with support from MND and a local foundation. 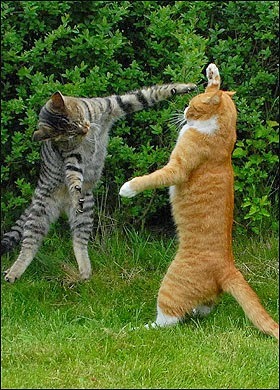 - In 2009, the Cat Welfare Society sterilised 1000 cats through its partial reimbursement scheme. In 2013, it sterilised 4,479 cats, around 70% of which was fully funded. - Since 2011, CWS has raised funds and administered $255,000 to assist caregivers with medical expenses through its Special Appeals platform. - In 2012, the Love Cats Cat Ownership Pilot Programme was launched in Chong Pang with the support of MP Mr. K. Shanmugam, MND, HDB, AVA and Nee Soon Town Council. - In 2014, AVA relaunched its Stray Cat Sterilisation across all estates in Singapore, co-funding stray cat sterilisation and microchipping together with the Cat Welfare Society. Some of our Purrzaar vendors!